← PlantEaters Tip: What if I’m avoiding gluten in my diet? My journey towards a vegan lifestyle was born out of a desire to be healthier, but over time compassion towards the animals has become an increasingly important factor as well. Over the past year or so, my family has talked about wanting to hang a photo or painting of some animals on our dining room wall to make a statement about the fact that animals don’t adorn our dining room table. As a gift to my wife (and, really, the entire family) this holiday season, I bought this wonderful photo from the incredibly talented Lucy Snowe. Great picture! I know Tracy loves it. I think that is and amazing idea. Good for you and what a wonderful photo. 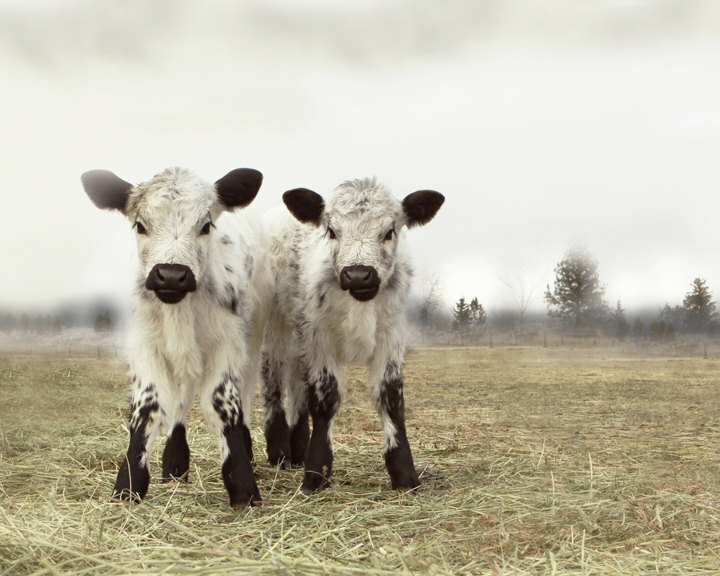 Beautiful calves. Hope you don’t mind if I steal your idea. I like photography so will go off looking to take my own picture to hang.